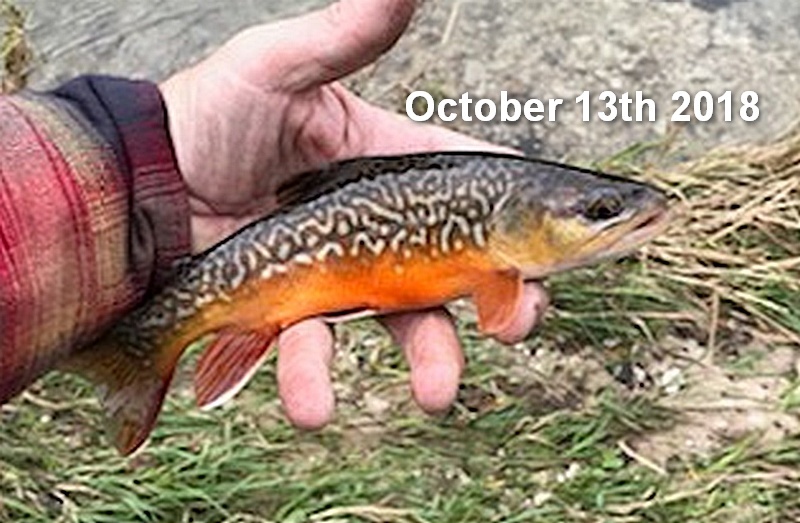 One of the coolest things to happen this year was catching this fine looking Tiger Trout at the start of the season. 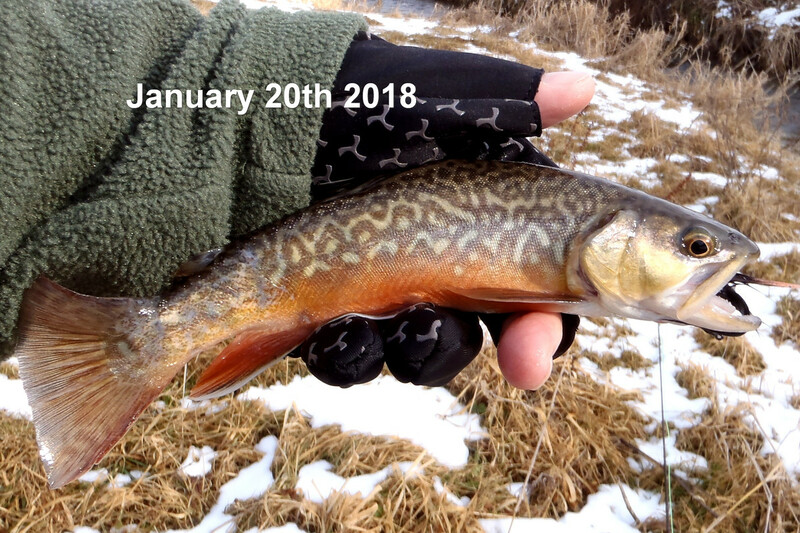 I had caught the same Tiger just 99 days earlier on one of the last days of the previous season. I got a text from my buddy Gurth last week, turns out he too had caught the same Tiger! This is truly a one-in-10,000 fish. The odds of any random Trout growing to adulthood is slim. Most eggs hatched get eaten, and the few that develop into fry or smaller Trout get eaten by fish or other predators. 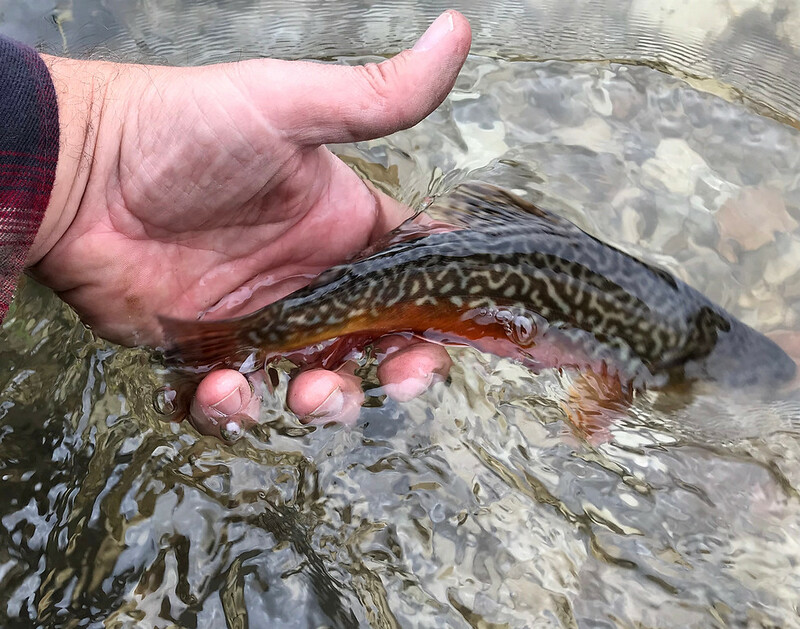 The odds of a Brookie and a Brown producing a Tiger is even larger, making this a rare fish indeed. Looks like he hasn’t grown a lot in a year, maybe just a little thicker through the body. But still strong and healthy looking. I’m happy to know that as this season ends, he’s still out there swimming around and doing his thing. I’d love to catch him again when he’s twice this size. Have a good winter little buddy! I’m happy to know that as this season ends, he’s still out there swimming around and doing his thing. Tigers are the only trout that taste good to me. I have giant hands which is why all of my fish look so small in photos. When I hooked him and saw the flash... 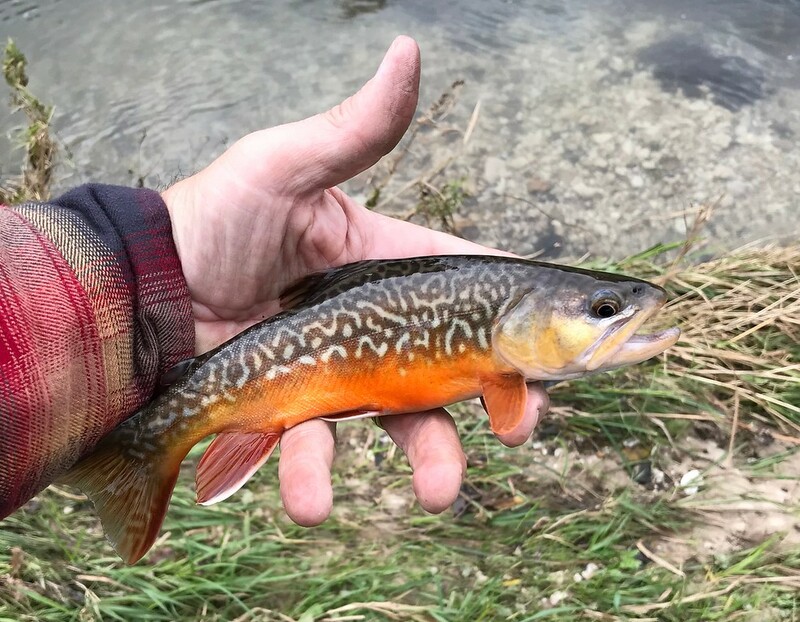 I thought I had a nicely colored up brookie on the line and didn't realize it was a tiger till I had it out of the water. 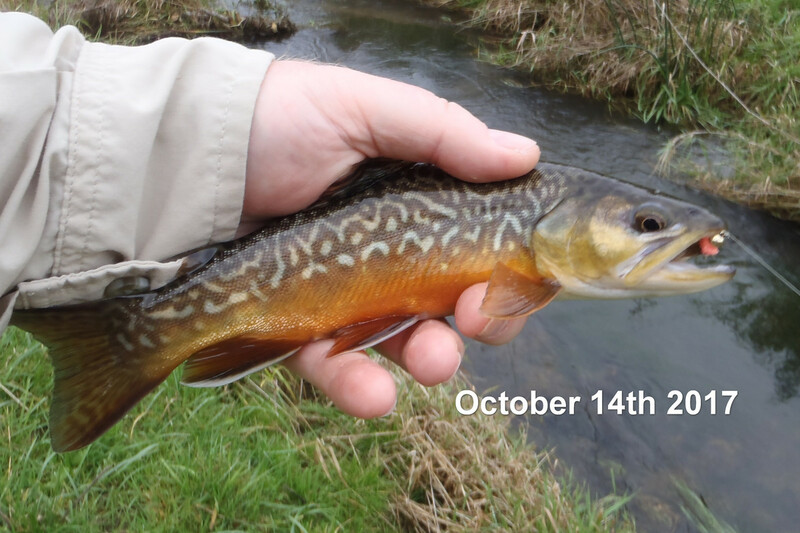 Here's a higher res photo to show just how stunning this fish was the other day. Photo is untouched with no color adjustment. I'd like to make it a trifecta by being the third to catch that fish! Nice job, that's a great looking trout.